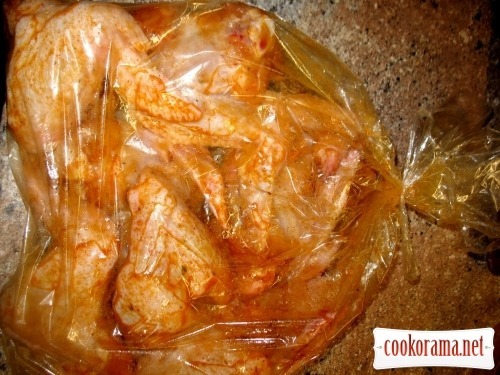 Soak chicken wings with spices and put in baking bag, add some butter. 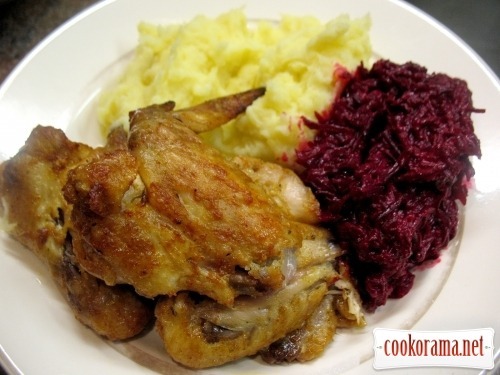 I served with mashed potatoes on cream and salad from beetroot, garlic, mayonnaise! Top of recipe "Baked wings"